Home > How can you measure the value of a webpage? > How is Alexa Rank different from Moz Page Authority? 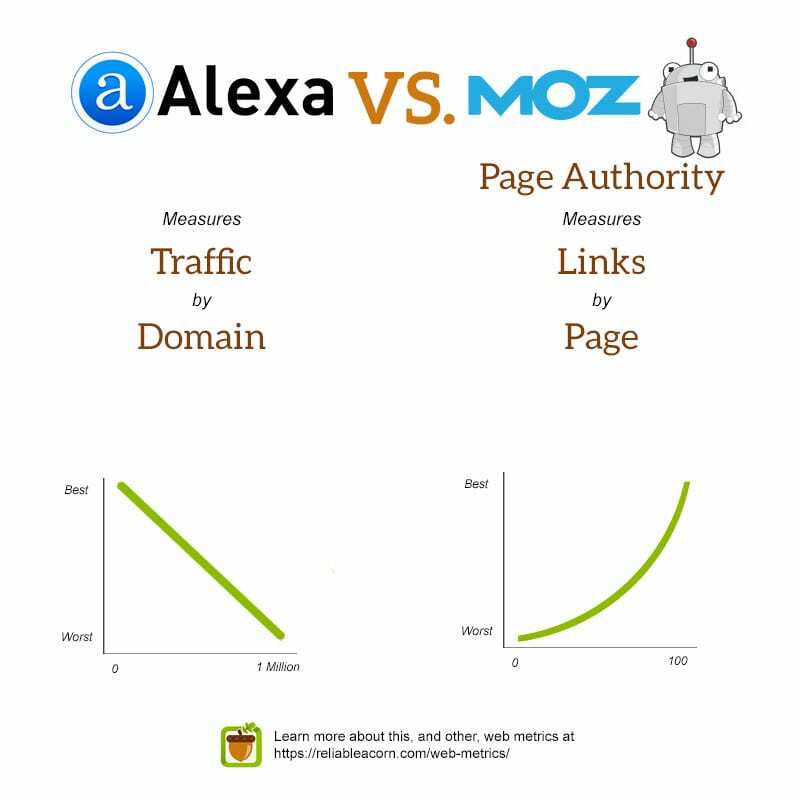 How is Alexa Rank different from Moz Page Authority? The first, obvious, difference between these two metrics is that Page Authority measures individual pages but Alexa measures websites as a whole. The differences don’t stop there, however. Alexa Rank is an estimate of traffic to a website. With these traffic estimates, Alexa sorts the one million most popular websites in order- from most traffic to least. That means the most popular website is ranked #1. Alexa stops counting after the 1,000,000th website. Page Authority is very different. It describes a particular web page’s likelihood to rank well in the search engines by taking into account the links to that page. Because of this several pages can have the same Page Authority. The value is provided on a scale of 0 to 100 along an exponential scale. That means a Page Authority of 20 is significantly higher than a Page Authority of 10, rather than just ten points different.